The breadfruit crust last time proved difficult to digest (I don’t know if this was the breadfruit or the coconut flour I added or both), so this time I am trying a green plantain crust. I am still avoiding FODMAPS, so there is no onion or garlic in this version. Although I don’t usually use flours of any kind, the plantain mixture seemed very sticky and uncrustlike, so I added some arrowroot flour. I have read that arrowroot is relatively easy to digest among the grain substitutes. 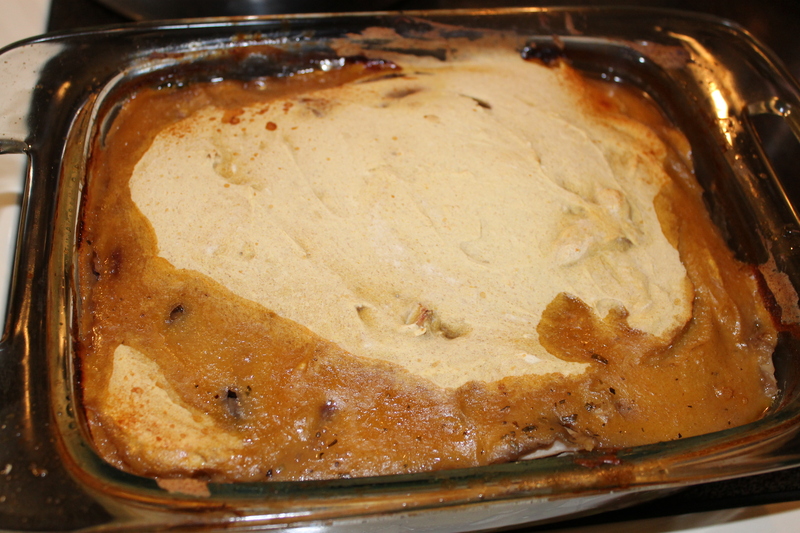 I didn’t add enough arrowroot to thicken the crust into anything that could be rolled out. Instead, I spooned the mixture onto the filling. It thickened as it cooked. It is important to use the green plantains as the yellow ones are sweeter and probably would clash with a chicken pot pie filling. 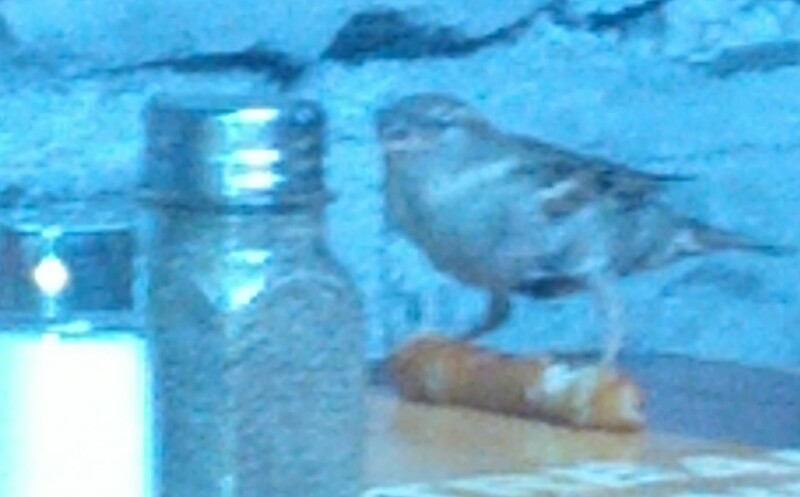 This crust was a bit sweet but edible with the chicken. 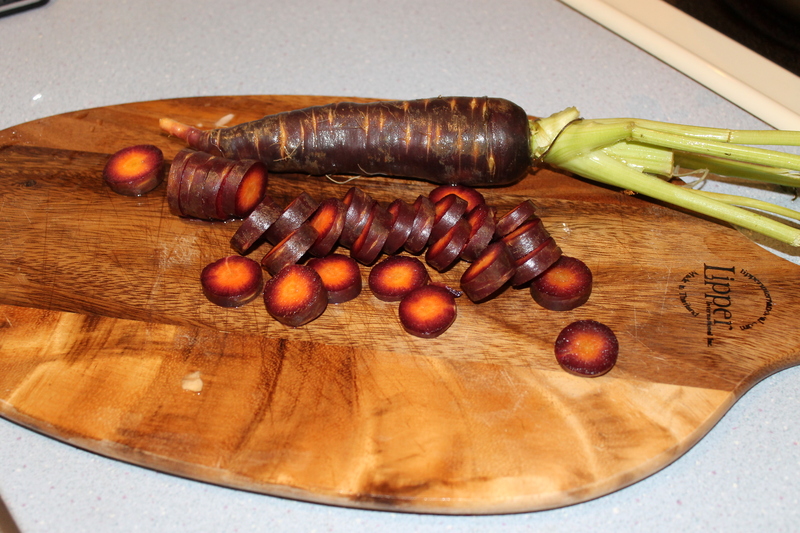 I love these crimson red carrots. Fry the mushroom slices until they have rendered some of their liquid. 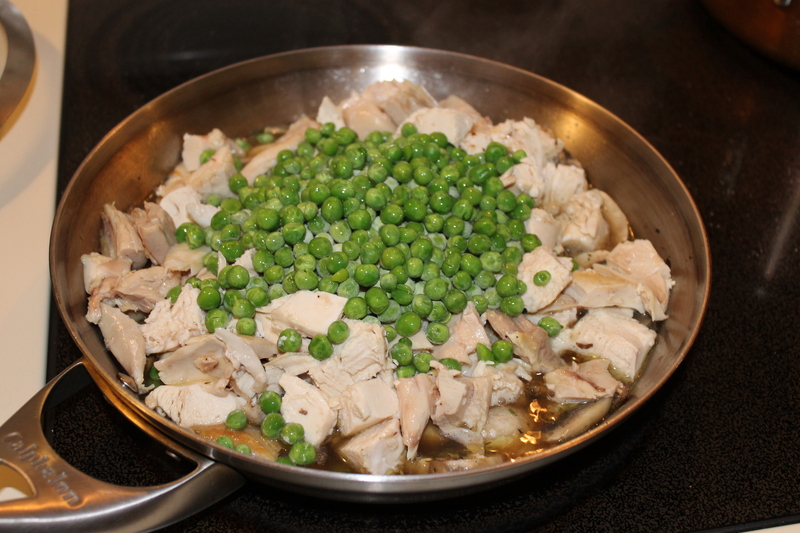 Add the diced chicken, broth, peas, sliced carrot, herbs, salt and pepper to the mushrooms and heat through. Transfer the chicken mixture to an oven-proof dish. In a food processor puree the plantains with the salt and coconut oil until quite smooth. Add the arrowroot starch and blend until smooth. Spoon the puree onto the chicken mixture to cover and bake in a 400 F oven until filling is bubbling and “crust” is golden. 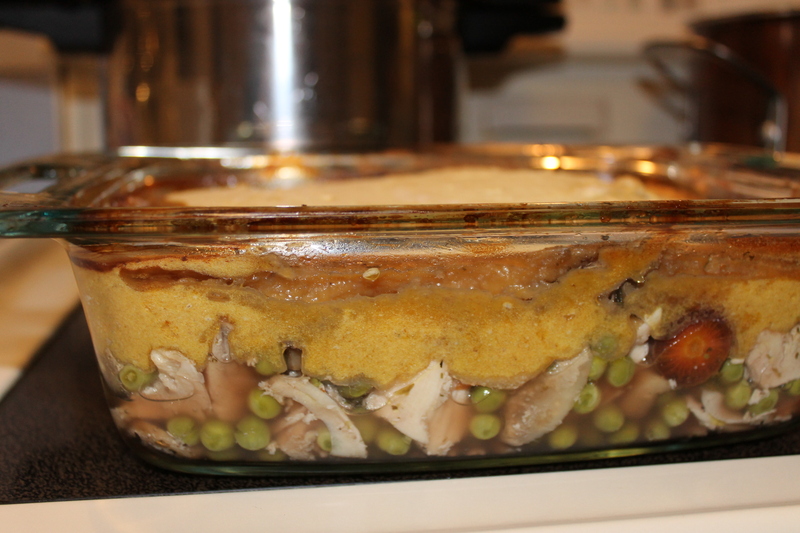 Categories: easy recipe, Grain substitute, left overs, One dish meal | Tags: chicken, chicken pot pie, peas, plantains | Permalink. 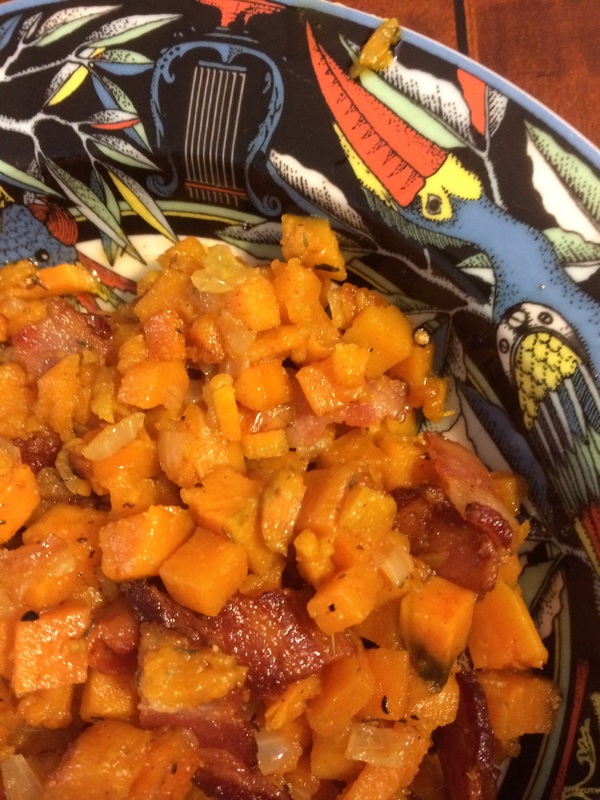 Mix the sweet potato, eggs, melted butter, vanilla, lemon zest, salt, honey, and baking powder in the food processor until it is a smooth puree. Add the coconut flour and puree again. Drop by spoonfuls onto a lined baking pan and cook 20 – 25 minutes at 400. Actually, mine were very moist on the inside while browned on the outside. I think I will try 375 F oven for longer next time to solidify them better, although they cooled down well. 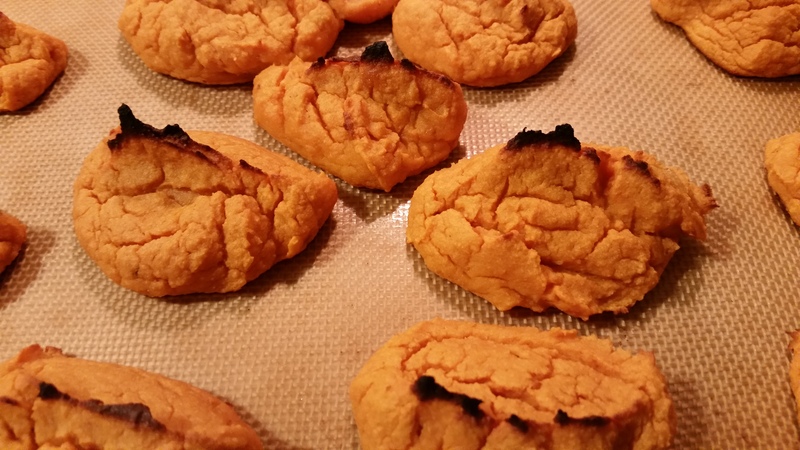 Categories: biscuits, easy recipe, Grain substitute | Tags: Sweet Potatoes | Permalink. My mother-in-law just sent a wonderful book, Cuisinez Gourmand Sans Gluten, Sans Lait, Sans Oeufs… by Valerie Cupillard. It appears to have a lot of very useful advice about gluten, dairy and egg free cooking. The first recipe to catch my eye is this one for avocado mayonnaise. In French, mayonnaise can refer to anything that has a mayonnaise like consistency in addition to referring to mayonnaise. For example, the original name for Chocolate Mousse was Mayonnaise au Chocolat. I would describe this avocado mayonnaise as tasting more like guacamole than mayonnaise, but having a definite mayonnaise consistency. We used it tonight as a dressing for leftover sliced chicken that I fried in olive oil to reheat (no FODMAPs, so no onion or garlic, although avocado can be a problem for some). Cupillard recommends adding spices of your choice to vary this mayonnaise (curry, paprika…) according to your tastes. Then I ran the food processor again until it was a lovely smooth consistency. It was a gorgeous color and quite tasty and simple to make. I think I may try making some with wasabi next time. It is the right color for wasabi and P loves wasabi mayonnaise. 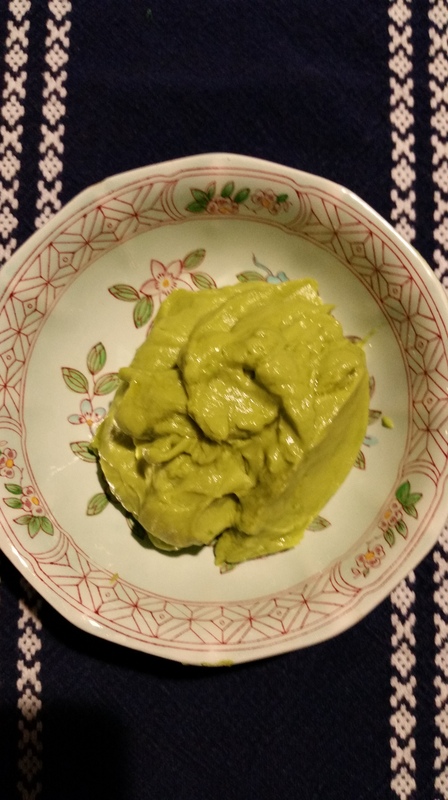 Categories: condiments, easy recipe, Valerie Cupillard | Tags: avocado, mayonnaise | Permalink. Yesterday I bought a breadfruit from Whole Foods. It is about the size of a cantaloupe but dark brown with a bumpy skin like a lichee. I looked online for recipes and came across a website for a breadfruit bake-off in Hawaii. It seemed to be a starchy basis for lots of different types of dishes, and many recipes started with steaming or boiling the breadfruit and then incorporating it into whatever dish. I, therefore, peeled, cored and sliced it before steaming it for 15 minutes. The recipes say it is steamed enough when it is easy to pierce with a fork and not to overcook it as it will get waterlogged. 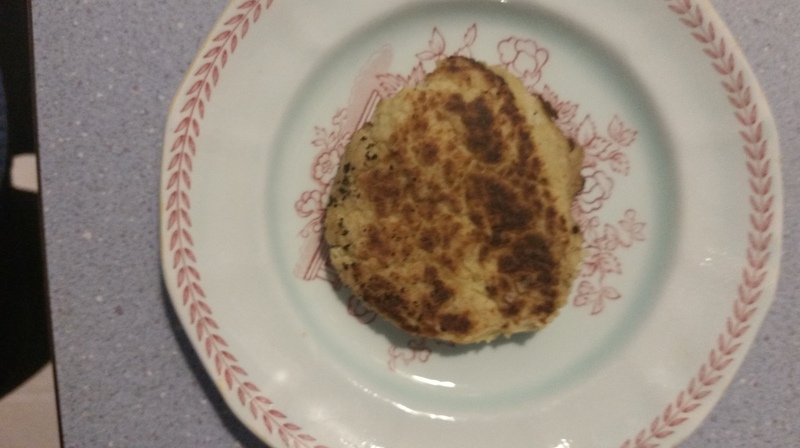 When it was steamed, I used some of it as the starchy basis for gluten-free pancakes. It is supposed to have a bread-like smell when cooked and as far as I can tell through my stuffed up nose it smells like the bread from Chinese pork buns, so nothing like French bread. oil or butter for frying. I combined the ingredients in the blender and added coconut milk until the batter was liquid enough to blend. 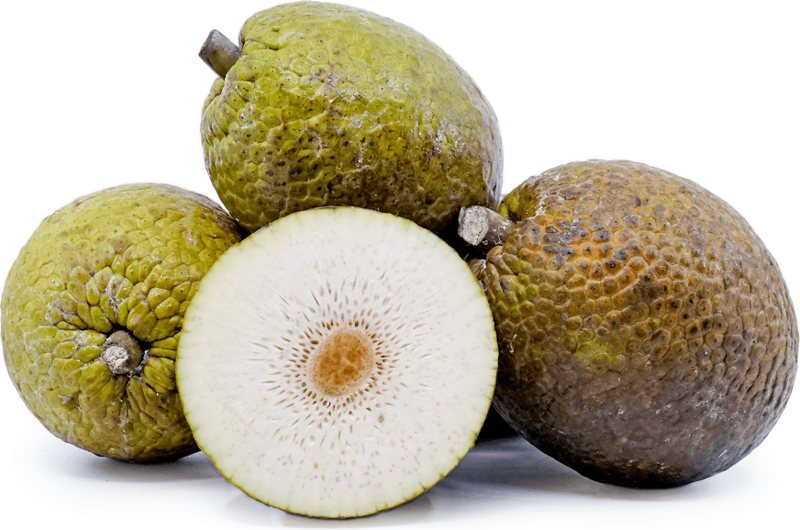 Breadfruit seems to absorb a lot of liquid. 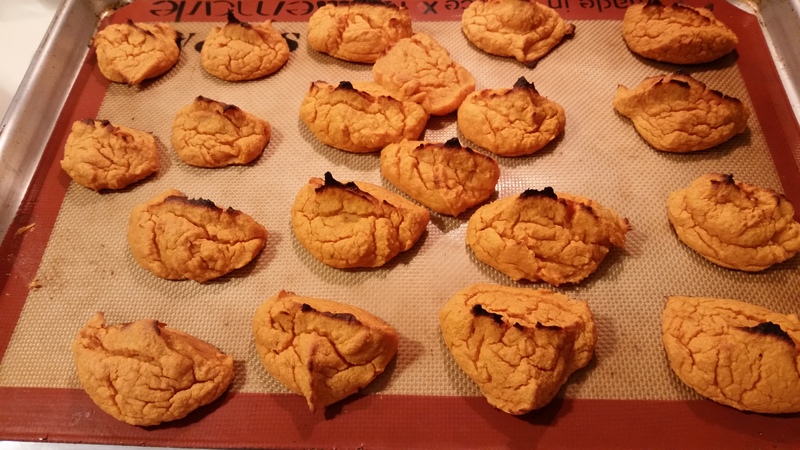 The batter was not perfectly smooth–there were still some lumps–think latkes. Spoon a silver dollar pancake into a hot frying pan. The pancakes were bland but pleasant, held together pretty well and would be good with maple syrup although I ate them plain. They are a filling carb. Categories: Breakfast, easy recipe, Grain substitute, Uncategorized | Tags: breadfruit, breakfast, Grain substitute, pancake | Permalink. When I asked the guy behind the counter at Whole Foods if they had a beef heart he looked as if he’d like to gag, but he went and looked for one in the back. My recipe calls for a veal heart weighing 1 kg but I got half a beef heart weighing 3-1/4 lbs and used half of that. I am trying to eat more organ meats as they are supposed to be so good for you, but I have to work at getting over the yuck factor in order to do so. I figured that in a stew heart would seem pretty much like regular beef cuts–it is a muscle after all. This recipe is pretty much a straight translation of “Coeur de Veau Braise aux Carottes” on p 161 of Les Recettes Faciles de Francoise Bernard. This is like The Joy of Cooking of France–the basic cookbook that you receive when you get married. Everyone seems to have it. This is considered an easy and inexpensive recipe. Francoise Bernard tells you to ask the tripier to remove the tough membranes from the interior of the heart. I didn’t get it from a tripier (tripe butcher) so I removed the tough bits and silverskin from the heart myself and chopped it into small pieces. Brown the meat in several batches. Chop the shallot and saute it for a couple of minutes while you chop the carrots and celery. Return the meat to the pot along with the carrots, celery, herbs, garlic, salt and pepper and cover with liquid. I used broth for a richer and healthier option, but water would work too. Bring to a boil on the stove top, cover and place in a 300 F oven for about 2 hours. Remove the bouquet garni before serving. The stew was tender and savory. Beef heart is rich in iron, phosphorus, copper and selenium, and it is a good source of B vitamins and Coenzyme Q10. 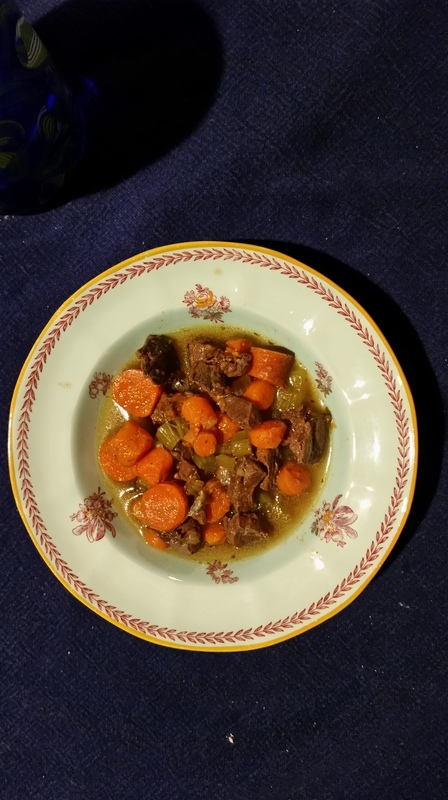 Categories: easy recipe, Francoise Bernard, One dish meal, Recette Facile, stew | Tags: beef heart, Carrots, heart, Stew | Permalink.